Maritzburg United would like to congratulate four of our players for being included in the Bafana Bafafa squad for the upcoming COSAFA Cup. Siyanda Xulu, Siphesihle Ndlovu, Fortune Makaringe and Lebohang Maboe have been rewarded for their fine form in the Team of Choice jersey with a call-up to the latest South Africa squad named by national coach Stuart Baxter. This announcement comes a couple of days after the above mentioned players, as well as defender Bevan Fransman, Goalkeeper Richard Ofori and Head Coach Fadlu Davids were all listed as nominees in the PSL end-of-season awards. 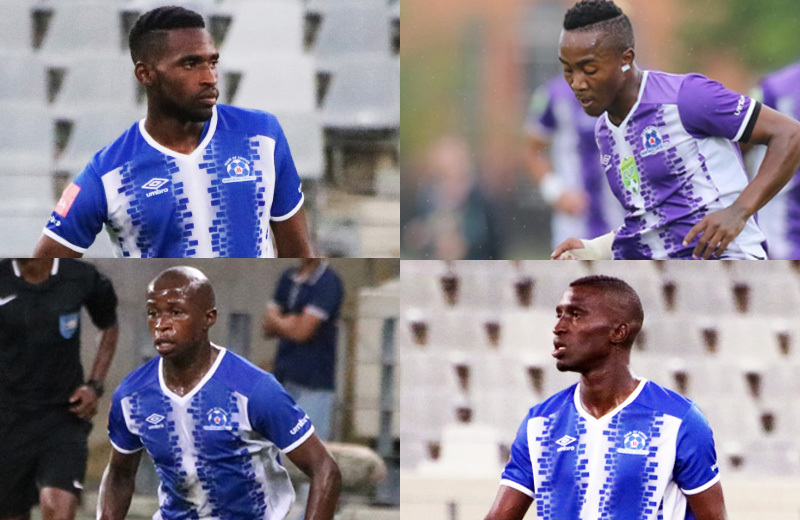 While the rest of their club team-mates take a well-deserved break, Xulu, Ndlovu, Maboe and Makaringe will be heading up to Polokwane as part of a 20-man national team. "Maritzburg United Football Club would like to congratulate Siyanda, Lebohang, Siphesihle and Fortune for their call up to the national team, Bafana Bafana,” said Chairman Farook Kadodia. “Their selection again underlines what has been a successful season for the Team of Choice and is testament to the hard work put in at training every day. We wish them well in representing the nation and trust they will do themselves and the club proud." The COSAFA tournament is set to run from May 28 until June 9, with Bafana to enter the tournament at the quarter-final stage where they will play the winners of Group A, one of the Comoros, Mozambique, Seychelles or Madagascar.